The AFPA Sports Nutrition Certification course is perfect for nutrition coaching consultants, personal trainers, strength trainers, group fitness instructors, athletes of all levels and all associated health practitioners and enthusiasts! The optimum way for you or your clients to get the most out of their workouts and feel their best is to develop an energizing, performance-enhancing nutrition plan, tailored to their body's specific needs. Do that, and they're on track to achieve the higher level of fitness and better overall health that they crave and you receive the recognition of being a superb trainer. Learn how to enhance your client's workouts and maximize their results with proper nutrition, safe and effective sports supplements, and beneficial vitamins and minerals! All course materials and certification examination included. 100% Digital Access - Digital Access to the full, mobile-ready interactive eBook with interactive tools, workbook and student practice assessments. Online course activities and online final exam. Digital Access + Textbook - Digital Access as noted above, plus a print version of the textbook for this course available for students. All AFPA Nutrition Certification programs curriculum fully meets the AADP’s (American Association of Drugless Practitioners) board educational requirements, giving AFPA students a thorough knowledge of courses set-forth by the Institute and making them eligible to become a Board Certified Nutrition Professional. AFPA Nutrition Certification programs curriculum fully meets the ANMAB’s accreditation board educational requirements. 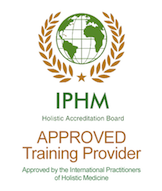 Graduates of AFPA are eligible to apply to be a board certified Holistic Health Care Practitioner through the ANMAB (American Naturopathic Medical Accreditation Board). Assists clients in healthy eating habits and meeting their athletic and sports performance goals. Offer a sound performance nutritional plan. Advise and present a balanced nutritional strategy that leads to optimal performance. Effective in discussing pros and cons of supplementation and optimal performance meal plans. Offer nutritional plans for specific athletic or sports events and training. Identify the effects of eating disorders on sports performance, including bulimia and anorexia. Examine the general principals of nutrition, including the importance of fat in the diet. Assist athletes in understanding the importance of meal timing for optimal performance results. Administer a safe, effective and reasonable weight loss program for athletes who cut weight, like wrestlers, gymnasts, weight lifters, and bodybuilders. Examine the psychological link that exists between individuals and eating disorders. Describe the recommendations for micronutrient intake in athletes based on the current research. Differentiate between healthy carbohydrates and unhealthy carbohydrates. Construct an eating plan to assist a client to lose body fat, while minimizing the loss of lean body mass. Interpret the relationship between nutrition and immune function in athletes. Design consent, disclaimer and disclosure statements between clients and consultant. Comprehensive manual, chapter PowerPoint presentations, and online support material and self-assessment activities. Passing an online exam with 85% or higher. There are 300 multiple choice/true/false exam questions. The examination must be completed within 28 days of receipt of your testing link. If you do not pass there is a $75.00 retest fee. You will be allowed to retest within 24 business hours.